Mark Panzer, Senior Vice President, Pharmacy, Health and Wellness, Albertsons Cos.
PHOENIX — As senior vice president of pharmacy, health and wellness at Albertsons Cos., Mark Panzer heads a team that is working to turn the retailer’s food and drug stores into true health and wellness destinations. The company has been a leader in expanding the role of its pharmacists whenever there’s a change in the scope of practice as defined by state laws and board of pharmacy regulations. Albertsons Cos. has also expanded into specialty pharmacy and opened health clinics in more than 200 of its stores. It hired dietitians, and developed programs such as “Answers in the Aisles,” where dietitians lead store tours and nutrition workshops, and “Tools for Living Healthy with Diabetes,” where after a store tour led by dietitians customers meet with specially trained patient care pharmacists for a six-month diabetes education program. In recognition of his efforts to transform Albertsons Cos.’ supermarkets into community health and wellness centers, Panzer has been selected by the editors of MMR as one of the publication’s Six Executives Who Made a Difference in 2017. Panzer sees supermarkets with pharmacies as being well positioned to win with health-conscious consumers. In-store clinics offer another opportunity for Albertsons Cos. to leverage the convenient locations of its grocery stores, providing access to health services at a time when consumers’ access to doctors is increasingly constrained. And because supermarkets are larger than drug stores, they can have larger clinics. Panzer notes that Albertsons Cos. has chosen not to run the clinics itself, preferring instead to partner with established health care providers. “We don’t think running clinics ourselves is a good business model for us,” Panzer says. “In part that’s because it can take a long time to build that business. Whereas when we partner with a provider that already has a business, and is part of the health care system in that community we’re trying to serve, they will actually drive patients to those clinics. Albertsons Cos. has partnered with such health care providers as Express Care, Urgent Care and Quest Diagnostics. Panzer says that the retailer looks for partners that have the name and the reputation for being top notch health care providers within the markets they are serving. As it seeks health care provider partners, Albertsons Cos., and particularly its Safeway chain, has the advantage of being able to offer high-quality clinics within its stores. Panzer adds that they are well-built spaces, located next to the pharmacy with exam rooms and restrooms, and a concierge desk. Albertsons Cos. is bolstering its total health care offering in other ways as well. The company has implemented central fill capabilities to boost efficiency. And in May the company announced that it acquired MedCart Specialty Pharmacy in a bid to strengthen and extend its pharmacy specialty services and participate more in the dispensing of limited-distribution drugs. MedCart is an industry-leading, URAC accredited, pharmaceutical and health care provider of customized specialty care services and medication management for patients and physicians addressing complex diseases. It now operates as a business unit under the Albertsons Cos. pharmacy team structure. Panzer notes that the MedCart acquisition is allowing Albertsons Cos. to expand on the specialty programs it took on when it acquired Safeway and offers another example of how Albertsons Cos.’ growth through acquisitions has allowed the company’s stores to serve its customers better. “It just adds to what we can bring to the communities we serve, in terms of food, drug and the clinical services,” Panzer says. With a career that spans a number of different retail formats, Panzer has seen the evolution of retail health and wellness offerings from a variety of different perspectives. 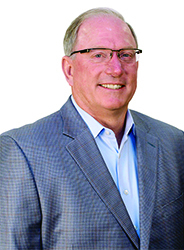 He began his career in retail more than 40 years ago at Osco Drug, where he moved up through the ranks, serving as district manager and director and later as vice president of sales and marketing for American Drug Stores. He became senior vice president of sales and marketing for Albertsons after its 1999 merger with American Stores. In 2001, Panzer left to join Rite Aid Corp. as senior vice president of operations, was promoted to senior executive vice president of store operations in 2002,and in 2005 was named the drug chain’s senior executive vice president and chief marketing officer. He then joined Pharmaca Integrative Pharmacy Inc. in 2008 as chief operating officer and was appointed chief executive officer in 2009. In May 2015 Panzer rejoined the new Albertsons Cos. as senior vice president of pharmacy, health and wellness, and less than a year later he was given responsibility for general merchandise and health and beauty aids as well. Panzer says that what Albertsons Cos. has accomplished in the past 10 years, under the direction of chairman and chief executive officer Bob Miller, has been nothing short of amazing. The company has grown from 198 stores 10 years ago to more than 2,300 stores today. That continuing success story is one of the reasons Panzer is glad to be on the team. The company’s approach to health and wellness is another reason, he says.